Australia is sending a 120-strong education delegation to India this week on the back of the prime ministerial visit, with Education Minister Simon Birmingham leading the group which aims to build stronger university ties, win more international students and boost Australia’s role in the massive Indian effort to develop skills for its huge population. “Australia is willing and well-placed to help India with its education aspirations, including its goal of upskilling 400 million people by 2022,” Senator Birmingham said in advance of meetings which start on Monday. Ten university vice-chancellors are joining Prime Minister Malcolm Turnbull and Senator Birmingham in India, which is seen as the international student market with most potential to further grow Australia’s $21 billion-a-year education export sector. While India is the second largest international education source country for Australia, it is only a $2.5 billion-a-year market compared to China’s $5.7 billion. India supplied 11 per cent of the 713,000 international students enrolled in Australia last year, while 27 per cent came from China. Underlying the visit is the belief among university leaders that the rise of Donald Trump in the US and the British decision to tighten student visa rules and exit the European Union has handed Australia a golden opportunity. The US and Britain are the preferred destinations of the cream of international students, but many of these have been repelled by the rise of insular nationalism in those two countries. The opportunity to get more high-quality Indian students is particularly important to Australia’s elite Group of Eight (Go8) universities who, while they are highly popular in China, have not had anywhere near the same success in the Indian market. “At Go8 universities we benefit from a large proportion of our international students being Chinese. But many fewer of them are Indian,” said University of Queensland vice-chancellor Peter Høj, who chairs the Go8. 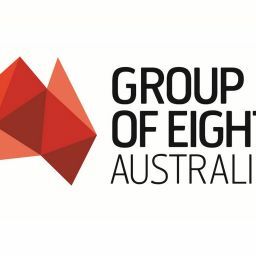 In fact the Go8 enrol less than 10 per cent of the international students in Australian universities, but have more than half of the much larger number of Chinese students. Overall there are 15 times more Chinese students in the Go8 universities than Indian students. Universities are also very conscious of their growing reliance on China for international student revenue and are looking to build India into a larger market. “We’re not trying to reduce our exposure to China but we’re trying to balance it,” Professor Høj said. Government officials will also be discussing how to increase the mutual recognition of university qualifications in the two countries, particularly a problem whereby Australian qualifications are not recognised for some types of public sector employment in India. Mr Turnbull and Senator Birmingham will also address the Fourth Australia India Skills Conference in Delhi which will focus on the enormous need in India to develop skills for its fast-growing economy and how Australia can help fill the gap. During the visit Deakin University, the first Australian higher education institution to operate in India, will open a major expansion of its research centre in Gurgaon, near New Delhi, run jointly with The Energy and Resources Institute (TERI) of India. The expanded TERI-Deakin Nanobiotechnology Research Centre works in the new field of using biological processes to synthesise nano particles. The Go8 universities will also launch a major effort to boost their numbers of Indian PhD students. Senator Birmingham will announce a taskforce to report in six months with a plan to bring more Indian doctoral students to Australia and give more Australian research students access to India. It will be jointly chaired by Professor Hoj and Devang Khakhar, director of the prestigious Indian Institute of Technology Bombay. “If we educate the future cohort of Indian academics in our universities, we will have people who are positively disposed to collaborating with us in the future, a future where India will be one of the most significant economies in the world,” Professor Høj said.